Lately I'm all about scarves. 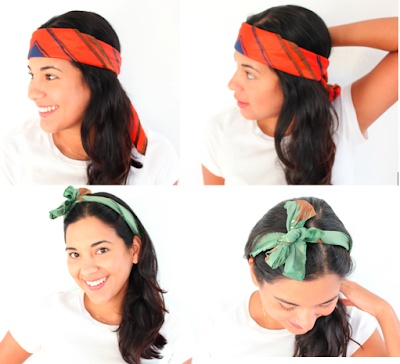 They're also great way to combat summer frizzy hair. Here are 5 different ways to wear them. Oh by the way, I bought these scarves at a thrift store for just $1. 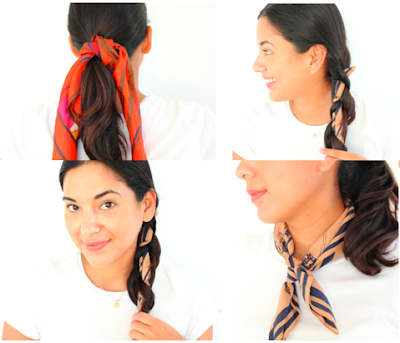 How do you wear your scarves? I get help from scarves for hot so good hair days too! Cool tips! You have great hair! Love the curls on the ponytail. Thanks Mercedes :) My hair has been doing that curl ever since I was little hehe. I love scarves and my 8 year old is starting to like them too. They look so nice around the heck with a fitting top.